Whois is used to display ownership information for an IP address or domain name. A major use for this is to determine the source of requests appearing in the firewall or Detection System logs. This can assist in the identification of malicious hosts. 1. 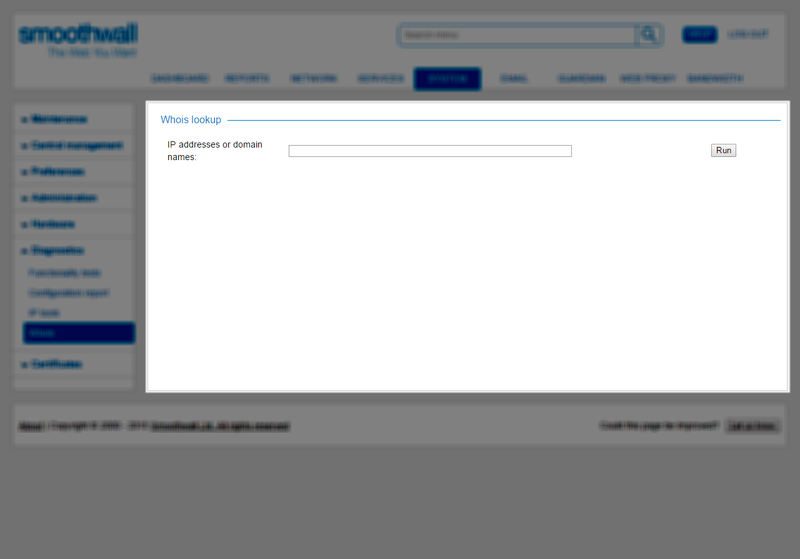 Go to the System > Diagnostics > Whois page. 2. Enter an IP address or domain name that you wish to lookup in the IP addresses or domain name field. 3. Click Run. The output of Whois is as it would be if it were run directly by the root user from the console of the Smoothwall.